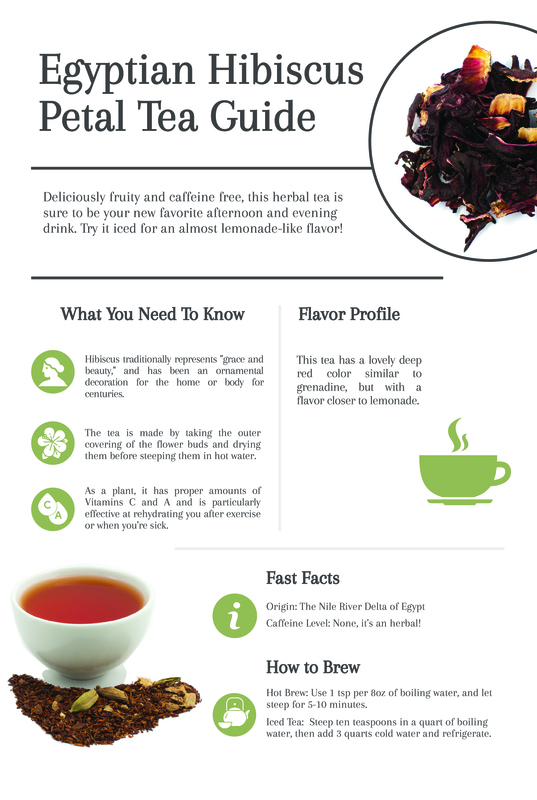 Deliciously fruity and caffeine free, this herbal tea is sure to be your new favorite afternoon and evening drink. Try it iced for an almost lemonade-like flavor! Hibiscus traditionally represents "grace and beauty," and has been an ornamental decoration for the home or body for centuries. The tea is made by taking the outer covering of the flower buds and drying them before steeping them in hot water. As a plant, it has good amounts of Vitamins C and A, and is particularly effective at rehydrating you after exercise or when you're sick. The tea has a lovely deep red color similar to grenadine, but with a flavor closer to lemonade. Vitamins and Minerals: Hibiscus tea is high in essential minerals as well as vitamins A and C.
Heart Health: Hibiscus tea has polyphenols that have been shown to help lower LDL cholesterol, prevent heart disease and cancer and fight bacteria such E. coli. Reduce Stress: Tea is popularly known for its calming effects and has been used for centuries as the focal point of social events and unwinding after a long day. 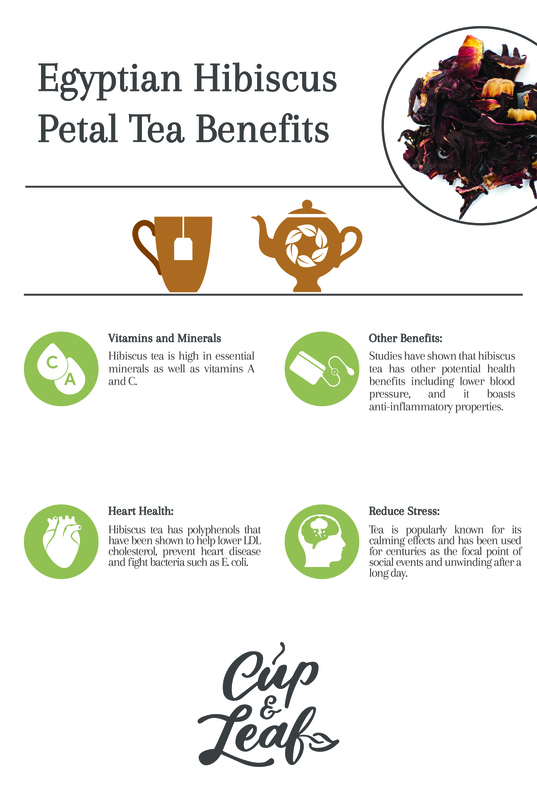 Other Benefits: Studies have shown that hibiscus tea has other potential health benefits including lower blood pressure, cancer prevention and anti-inflammatory properties. Mix With: Some sugar to taste. Very good tea! It’s a beautiful magenta color and has a delightful tart flavor that is complimented well by a touch of honey. Ordering more of this delicious tea! This herbal tea hits the spot. It has a sweet taste without a bitter aftertaste. No need to add anything. Just steep and sip.